Manchester United have one of the strongest squads in England with star players fighting for just a few positions all over the field. The manager has been trying hard to settle into a starting XI but has just not been able to stick with one, thanks to injuries and inconsistency of some players. And according to English news source Sun, Jose Mourinho is now set to use young English attacker Marcus Rashford on the left-flank for the rest of the season. 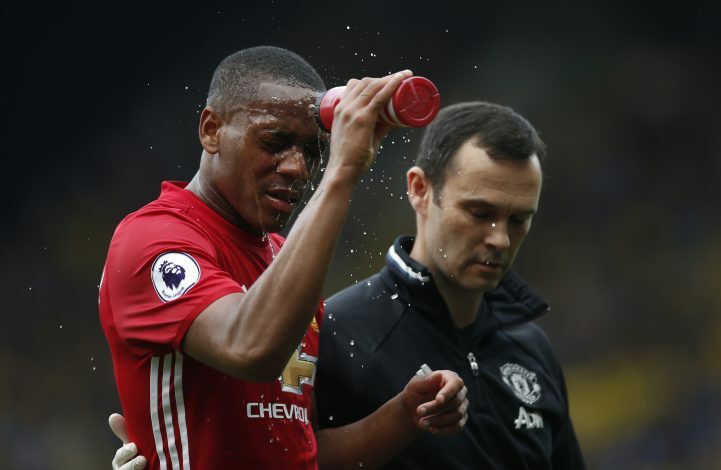 The report claims that the costliest teenager in world football a year ago, Martial, has lost all the trust of the manager at the Old Trafford and will now be dropped from the first team indefinitely. The 21-year old French international is among the best players in his position in Europe and at his age, he has plenty of time to improve as a player for the Red Devils. Jose Mourinho has given him enough chances to have a positive impact, but Martial has just not been able to cement a place in the side with consistent performances and is now set to be dropped. Speaking to the media recently, Mourinho revealed that Martial is getting confident by the day and that he had a talk with him which was positive. But the report claims that these showdown talks went array and have left Martial with a red face. Mourinho also said that Martial is still in the learning phase and is an important part of the squad alongside Marcus Rashford. “He says he is learning so much in the technical meetings and training sessions so I think his future will be brilliant. His present is good and we need him,” he said about Martial. “I’m always happy with Marcus Rashford’s contribution. He is one of those players that when he is on the pitch he tries, he always gives something,” he said, talking about Rashford. Though Rashford has also been out of form lately, Mourinho now believes that he should be above Martial in the pecking order for the Reds.